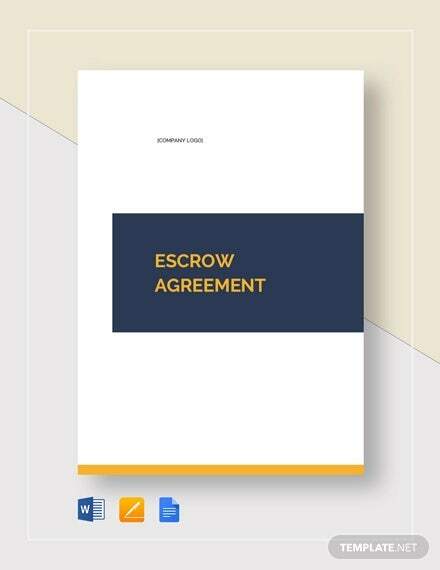 An escrow agreement is a document bound with legalities as it provides the terms, limitations, conditions, and other forms of agreement about an escrow arrangement by all those who are involved. 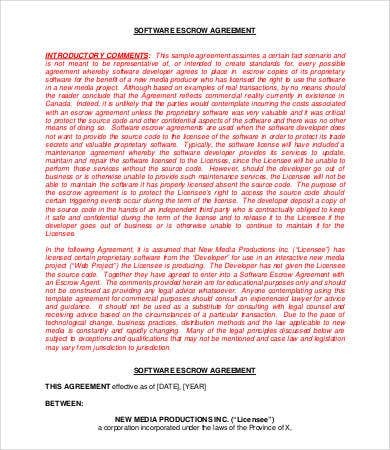 You may view a sample Agreement Template to know how this kind of document looks like. 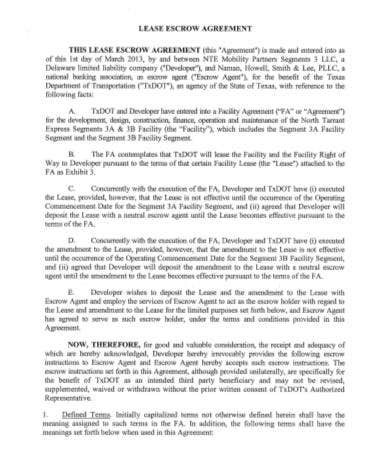 Commonly, an escrow agreement is the agreement or arrangement being done by two parties, plus a third person. 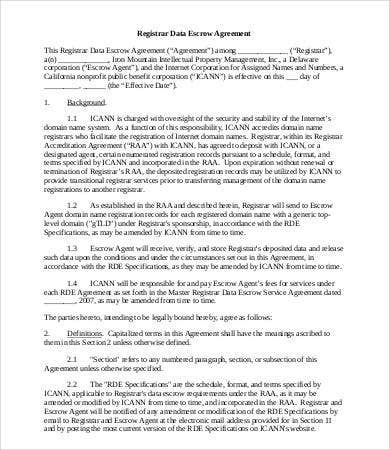 The third person that is involved in this transaction is called an escrow agent whose main function is to receive money and other documents that can be disbursed for the usage of the primary parties involved in the agreement samples. 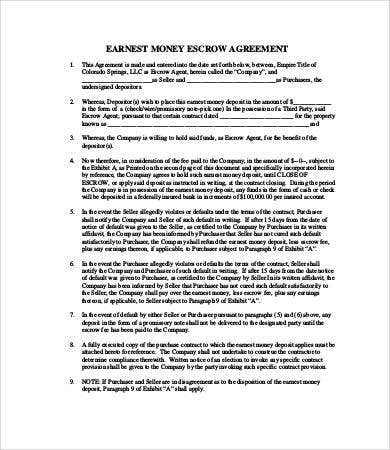 The disbursement of such money or documents may vary depending on specific conditions agreed upon by the transacting parties prior to making and implementing the escrow agreement. 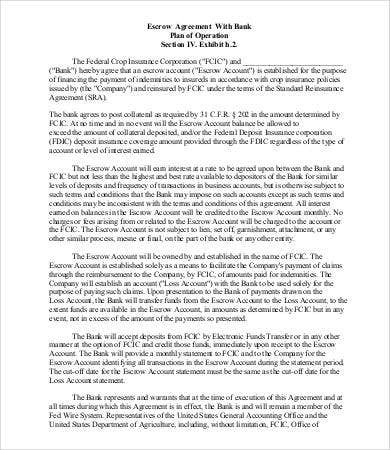 An escrow agreement may be used for different purposes, including those that involve software, real estate, repair, construction, and bank transactions. 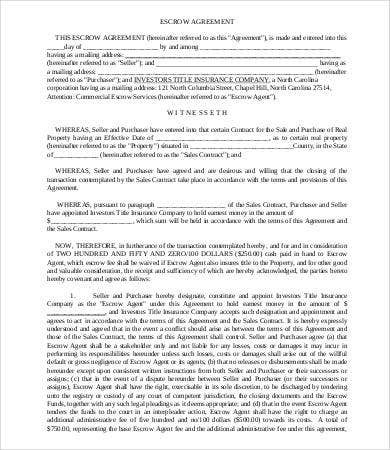 Aside from escrow agreements used in these transactions, check out our Shareholder Agreement Template and Real Estate Confidentiality Agreement Template for more references. 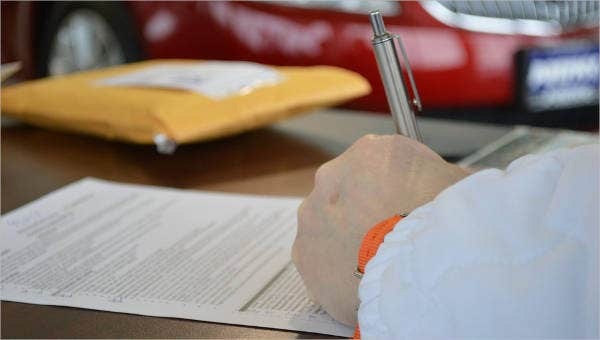 If you are involved in an escrow agreement, it is important to know the detailed information about the transaction that is to happen. 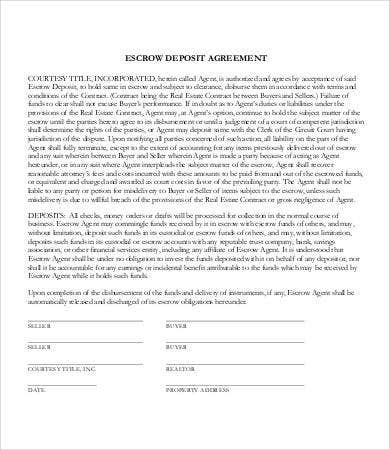 Remember that an escrow is just a deposit that is needed to be entrusted by someone—to an escrow agent—until the occurrence of an act specified in the transaction has already been done. Being able to know the regulations regarding this transaction will help you familiarize yourself with the next steps that you are to do. 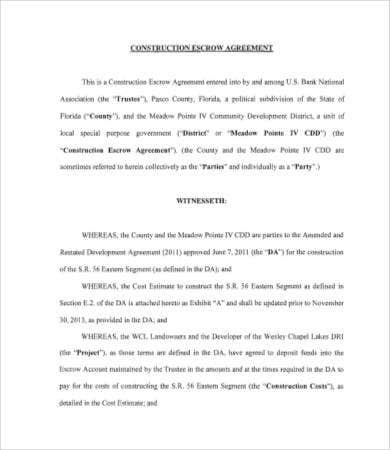 As a contract, an escrow agreement must be able to determine the common grounds on which both parties are in favor of and willing to participate in. 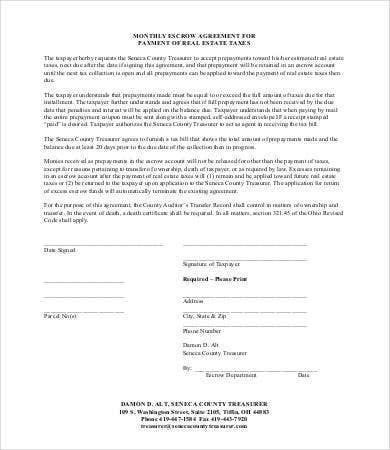 All the executions of what is stated in the escrow agreement can only be done by following the legal formalities that bound the contract. 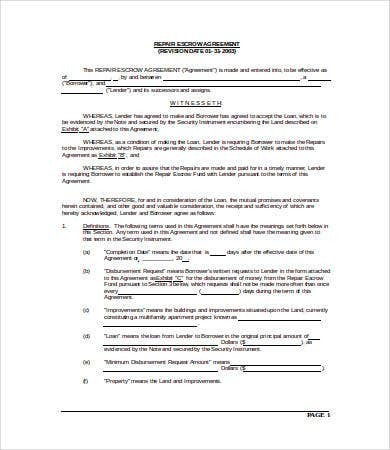 For another kind of agreement, download our Short-Term Rental Agreement Template.